With 10 well-equipped function rooms for hosting up to 250 people, our hotel provides optimal conditions for conducting seminars, conferences and events professionally. Wedding, first holy communion, confirmation, baptism, private parties or a birthday reception, The events team is here to serve you. Benefit from our professional service and full service catering, as well as our hotel’s central location, only a two-minute walk away from the beautiful Old Town. 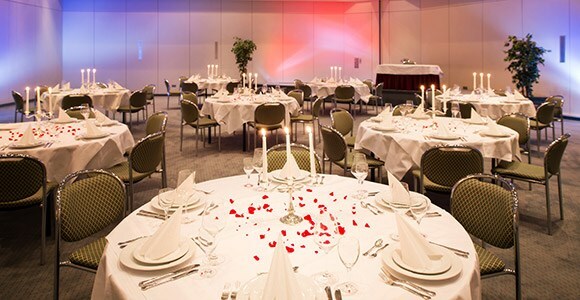 Round off your event in style with an unforgettable programme in the charming town of Landshut. Directly adjacent to the Imperial Hall, this 85m² room is ideal for seminars of up to 30 people and lectures for up to 70 people. 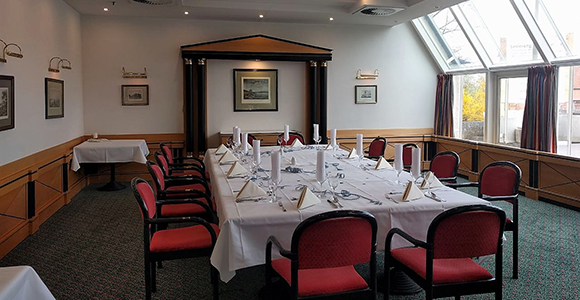 The Leipzig Room receives lots of daylight and has individually adjustable air conditioning. 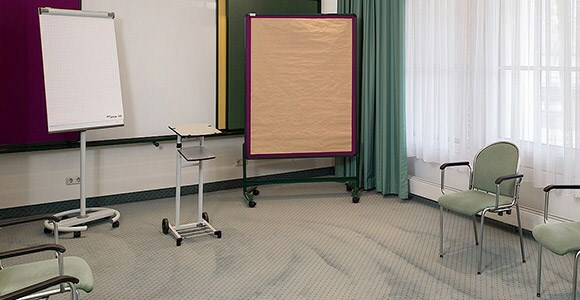 This room is situated next to the Leipzig Room and has the same room dimensions. It also receives a great amount of daylight and has adjustable air-conditioning. 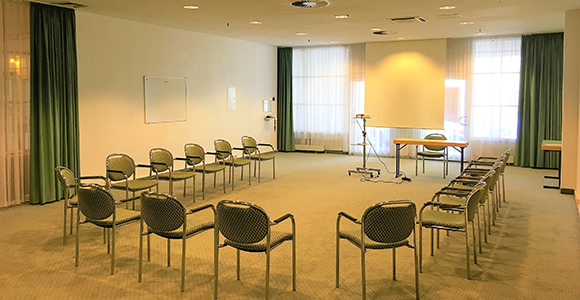 Located on the ground floor with 2 separate entrances, this room serves as an excellent lecture hall for up to 70 participants, and as a large workshop room. The room has wonderful views of the town of Landshut. Large windows with lots of light and modern conference technology ensure successful meetings for up to 12 people. The Meerbusch room is located right next to the Landshut Room and has the same features. 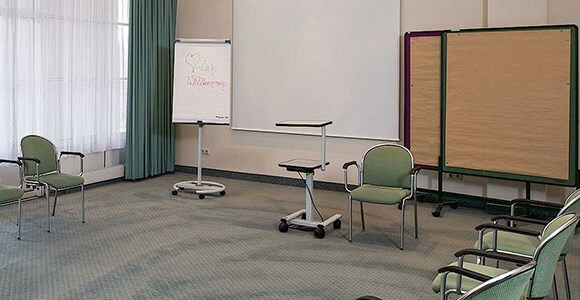 In conjunction with the Landshut room, this room is ideal for groups and different workshops. Our most popular room for trainings and workshops. This room leads out to a terrace with views of the Isar river and the Old Town. Enjoy your coffee break in the fresh air. This is the function room for bigger events in which up to 200 people can be seated. The room is ideal for lectures and banquets. This is where our New Year’s Eve gala and lots of weddings take place. The Jadwiga Stube is exceptionally well-suited for internal meetings. This room comes with plenty of natural light and a view of the Isar river and the Old Town. Our experienced team will support you at all times in the planning and organisation right up to the realisation of your event. Many services are included in our conference package. 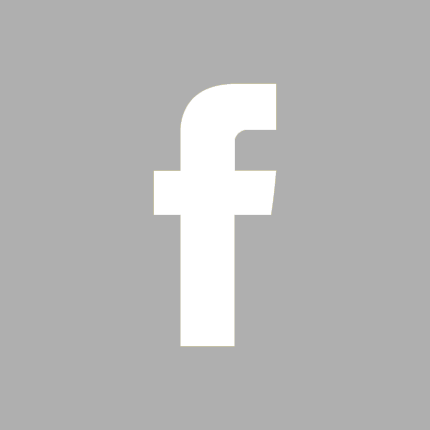 Of course, we will also support you with special catering needs. You can already see some of our ideas from our buffet, menu and snack suggestions. We are happy to work out an offer tailored to your individual requirements. Our banqueting department will be happy to advise you. Prices are subject to demand and availability and are seasonal. All our ideas are simply intended as suggestions, and can be changed or newly designed according to your wishes and ideas. Buffets are available for groups from 30 people. Menus are available for groups from 10 people. Polipu carpaccio with fresh rocket salad marinated with lemon vinaigrette.